What does a follower of Christ actually look like, and how can I become one? 'The Christ-follower DVD-based study' focuses on the fundamentals of the Christian faith, going directly to the words of Jesus in Luke chapter 6 to answer important questions like, Who does Jesus claim to be? How does he pray? Whom does he bless? How does he treat his enemies? How does he say we should view ourselves? And what does this mean for me today? - This unique study can be used on your own for personal devotions and study or for study with your small group, family, youth group, or even your entire church. Christ Follower A Participatnts Guide by Seacoast Church was published by Thomas Nelson in February 2011 and is our 16696th best seller. The ISBN for Christ Follower A Participatnts Guide is 9781418546113. 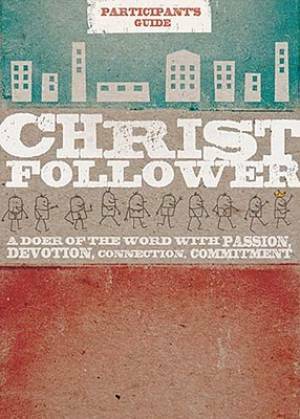 Be the first to review Christ Follower A Participatnts Guide! Got a question? No problem! Just click here to ask us about Christ Follower A Participatnts Guide.